Lash Extensions are here to stay! What is one of the hottest trends keeping people looking like doe eyed dolls 24/7? Let’s take a closer look into what’s turned into one of the hottest trends for your peepers since strip lashes came along. We’ll call this Lash 101 since you will be schooled in everything you need to know about these wispy beauties and quite possibly hitting the search bar for a lash technician near you. 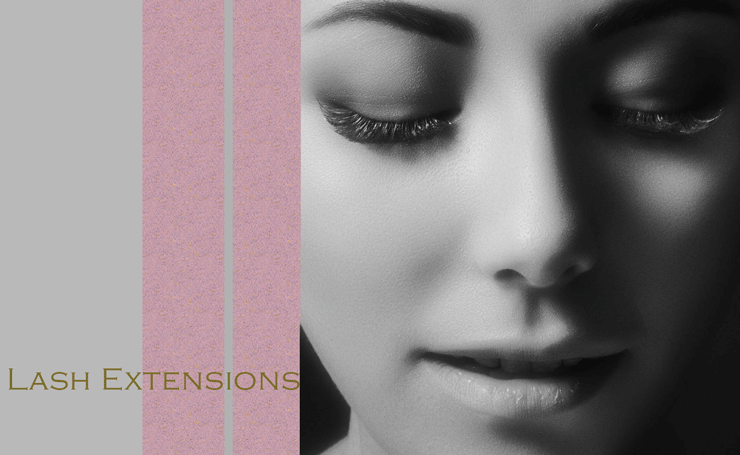 Lash extensions are an enhancement to your own natural lashes. A false lash is applied to each individual lash with adhesive. This is semi-permanent, and the lash extensions will fall out on their own or with the natural shedding process of your own lashes. These extensions are made from different materials including mink, silk, sable, fox, faux mink and faux fox or something synthetic. Are All Lash Extensions The Same? J curl, C curl, Classic, 9-15mm, Classic, Hybrid, Volume…these are all different terms for different types of lashes so the answer is NO, not all lash extensions are the same and in fact can be customized for each client depending on the desired look. 9-15 mm- This refers to the length of the extensions. Depending on the desired look the length of extension is entirely customizable. Those with shorter natural lashes will usually have to stick with a shorter length while those with longer natural lashes can opt for a longer extension. The length also depends on if you want a more natural or dramatic look. There are different “curls” available as well you can choose for your extensions, these include: J curl, which is more of a natural look, C curl which give a bright eyed look and blend well with other curls, B curl which falls between your C and J curl and works best in the inner and outer corners of the eyes, D curl which is the drama and creating the illusion of a bigger eye, L curl which is great for straight lashes or clients with hooded eyelids and last but not least the U curl which is the most dramatic and curliest look. Classic, Hybrid and Volume all refer to the amount of lashes to be applied and the desired density. Classic is a more natural look with one size of extension applied to each lash. Hybrid is a mix of a couple different sizes applied to each lash and gives you a blend between the classic and volume look. Volume lashes are all about the DRAMA combining a few long extensions and applying them to an individual lash. Your lash technician will be able to advise you on the best shape and size to suit your natural lashes and the look your trying to achieve. The application of lash extensions is actually quite relaxing, you lay down and have a Pro apply your new bombshell look in a typical time frame of 1-2 hours (think nap time with relaxing music playing). It is very important to care for your lashes by washing them with a gentle oil free cleanser and brushing them with a spoolie (aka: large mascara wand) which will be provided to you by your technician. It is recommended by most lash technicians to wait 24 hours after application before getting your lashes wet to make sure the adhesive has completely dried. Proper maintenance is very important because improper care can lead to breakage or loss or your natural lashes. You can wear makeup while rocking your extensions- just steer clear from waterproof mascara or any oil based liner as these can cause the adhesive to break down. Just be sure to always cleanse and brush your lashes before you snooze. Regular fills are recommended every 2.5-3 weeks to keep your set looking full and fresh. Your lashes have a natural shedding cycle which will result in the loss of some extensions so upkeep is crucial if you plan to keep your lashes looking luscious. There are different reasons people opt for lash extensions- vacations, special occasions, to simplify their routine or just simply because they love the look. While the reasons and length of time you want your extensions may differ one thing remains the same: The best way to remove your lashes is by your lash technician! Your lash technician has the proper tools including the proper product to safely break down the adhesive and keep your own lashes in tip top shape with minimal breakage or damage. So now that your well versed in Lash 101 go ahead and hit the search bar for a Lash Artist near you!! Or better yet, become a Certified Lash Technician! Whether you take it on as a full time career or as your ‘on-the-side’ gig, this skill will pay for itself many times over. Learn more about becoming a Certified Lash Technician. Eyelash extensions are a wonderful addition to your beauty routine. 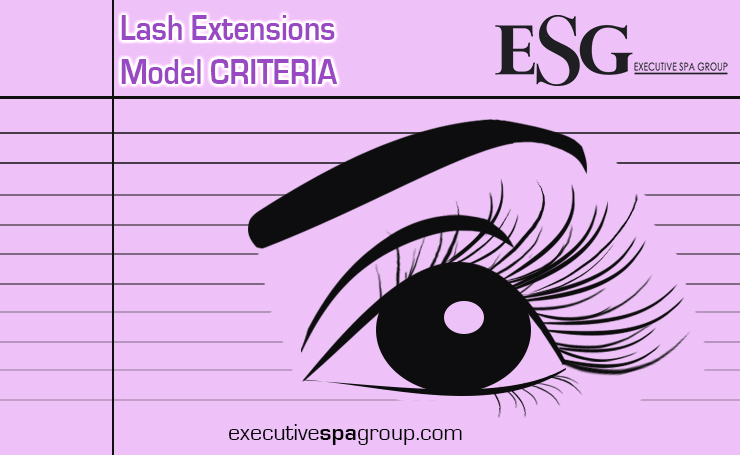 ESG students learn proper skills and techniques by performing services on models to obtain their Lash Extensions course certification. All services provided by ESG students are free of charge, tipping is optional. Consult your physician if you are pregnant and/or have medical conditions, in recovery from treatments, taking medications or have allergies. If you are ill or currently have allergies – if you have a cold, sinus infection, bronchitis, or flu, etc. please stay home and get well. No worries, we can reschedule your appointment for a time when you are feeling well. If your natural lashes are very curly – unfortunately as your natural lash grows in, the extension will lay in an unnatural direction. This may be more irritating for you, and because of this excess “wear” on the lash, the extensions will not last as long. If your natural eye shape is too deep inset or if your cheekbones are too high – to perform our procedure, we need to be able to effectively isolate your lower lashes from your upper lashes. This is not possible to do so on some clients with deep-set eyes or high cheekbones. Don’t be discouraged; we have a few tricks – if we can manage to get the upper and lower lashes separated, we’ll certainly apply your extensions. If you don’t have natural eyelashes – our extensions are placed on a natural lash; and we need your natural lash to be healthy and strong enough to support an extension. Unlike using other lash processes such as a strip or flares, we cannot create lashes where there aren’t any. If you have an allergy to cyanoacrylate. We require all models to arrive on time and be available for the entire duration of the required time. Thank you for volunteering your time!